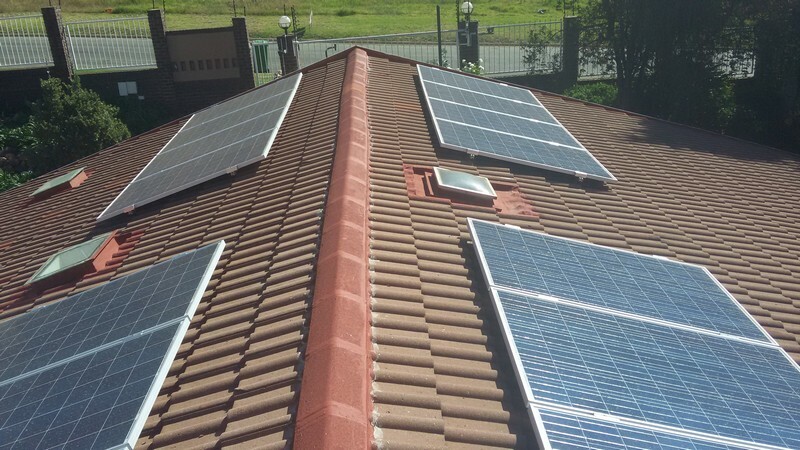 Green Energy Solutions installed a domestic grid tied solar Edge System in April 2015. 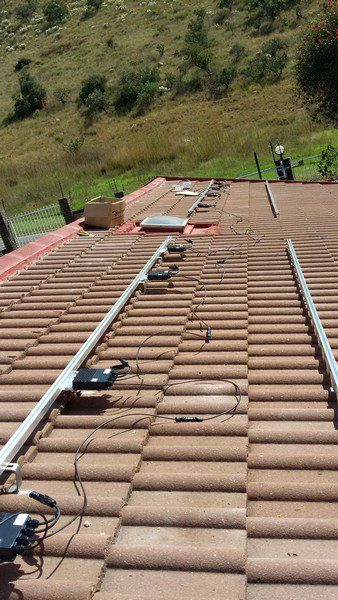 This system was installed in Bedfordview, Ekurhuleni. 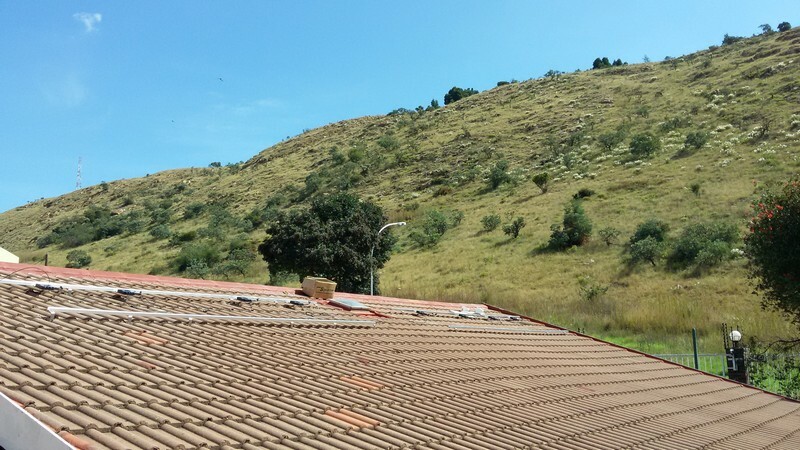 The size of the solar array is 4 kW peak. 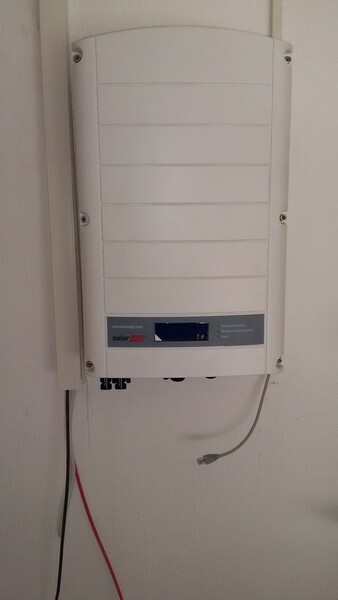 The size of the grid tied Solar Edge inverter is 5 kW. Leaving 1 kilo Watt for possible future expansion. This following table shows the actual production and savings released by the client. Taking a 8% increase of electricity cost over the next 5 years into account, the system will pay for itself within 6 years! Given a 5% annual increase per year over the next 25 years, the eventual return on investment would be almost R 1.3 million rands! 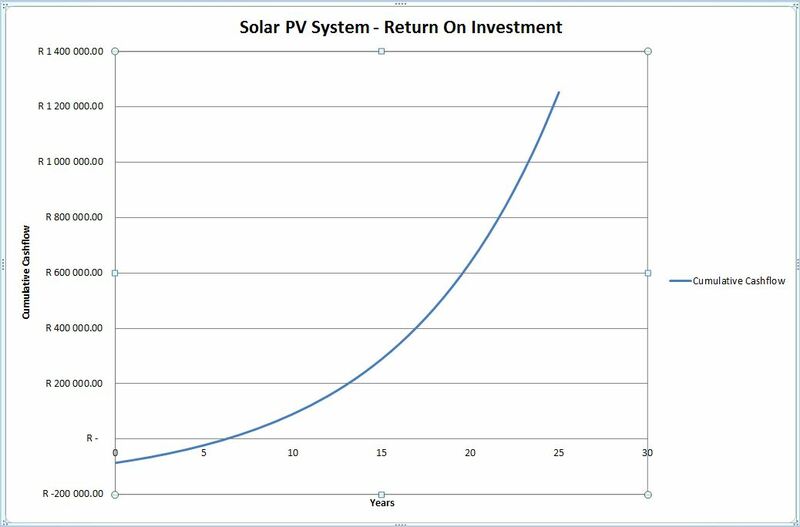 Investing in solar, is a really good investment! Contact us today to discuss your options..